Lighting is a great way to add a final polish to your decor. Here are a few quick tips on lighting basics. Be consistent and uniform throughout. To many changes will make the room feel disjointed and out of sync. PRO TIP: Stick to 3 colours to give depth and interest without it becoming a visual distraction. Make sure your lighting is evenly spaced throughout. If your lighting is too far apart it may dilute the hue and effects you are looking for and can take away from the overall ambiance. Make sure to budget carefully and splurge on those extra few lights. Extra lighting can be used to highlight extra features and add that extra wow, however not enough lighting can leave key pieces looking underwhelmed. PRO TIP: If you are working with a strict budget cluster your lights or create a focal wall for the best impact and effect! Opt for softer colours. If the hue is too strong it can wash away the details you worked so hard to pull together! The colour you choose can also alter the mood of the room everything dark red may have a negative impact on your guests. Just like a well tailored suit your lighting should work with the room not against it. Accentuate unique features such as pillars, textured walls, ceilings and fireplaces! Anything with dimension is perfect canvas for lighting. White walls=A Blank Canvas. Blank walls allow for many forms of lighting to come together to create something extraordinary. Don’t be afraid to create visual interest and fill an accent wall with light and texture. Last but not least be budget savvy. 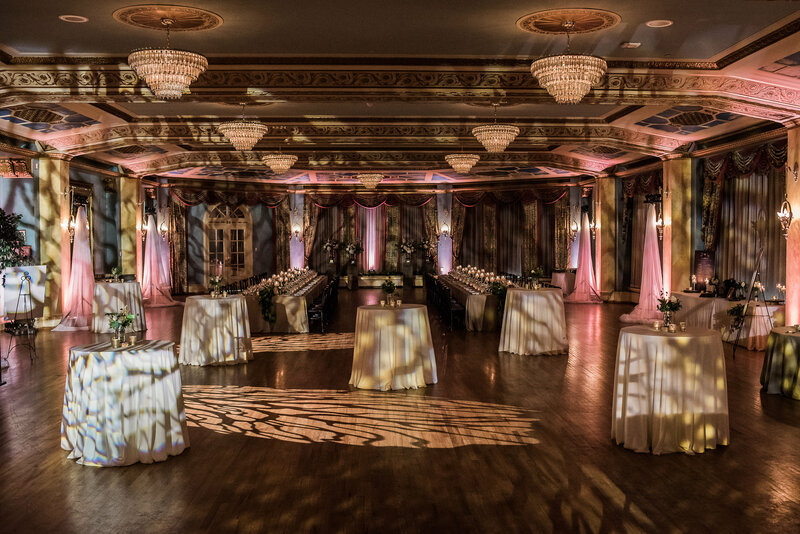 Your lighting sets the ambiance for your guests and takes your event design to the next level. How do you know which elements should go to which budget line? 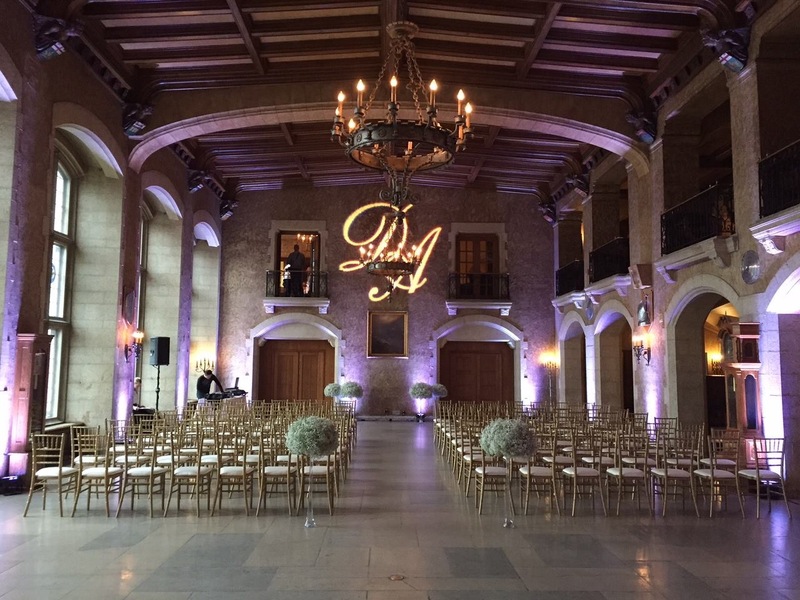 Here’s a secret: Uplighting, Gobos and Cocktail Music (to name a few) are all decor! These items contribute to the ambiance and mood of the room and help enhance the overall guest experience. 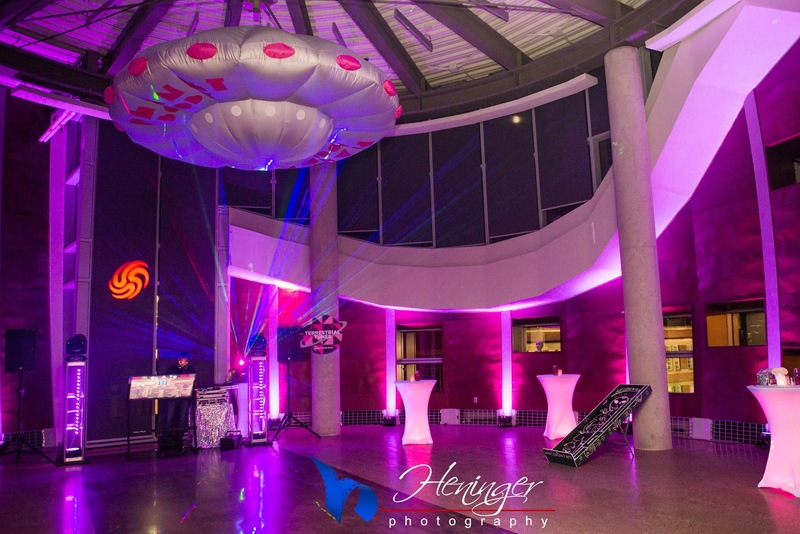 Dancefloor lighting, Photobooth and Party Music should be allocated to your entertainment line as they are what keeps the guests entertained. Make sure to consider lighting early in the planning stages to ensure you can budget accordingly. That’s your pro tip for today be sure to check back in for more!